This is fabulous! That looks like Kaufman's Shetland flannel--I have some to make winter skirts this year, and it is great! I have grey and cinnamon, and I can't wait to work with it--it is so soft!! 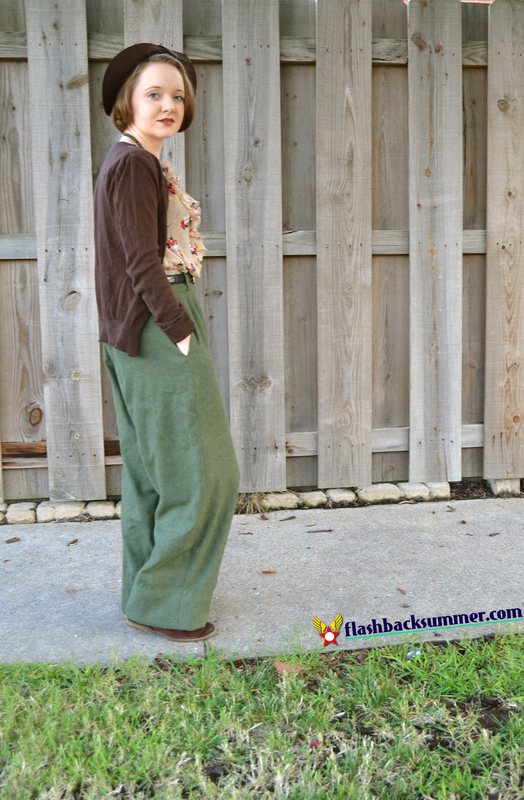 Fabulous pants, and the new pleats work great. 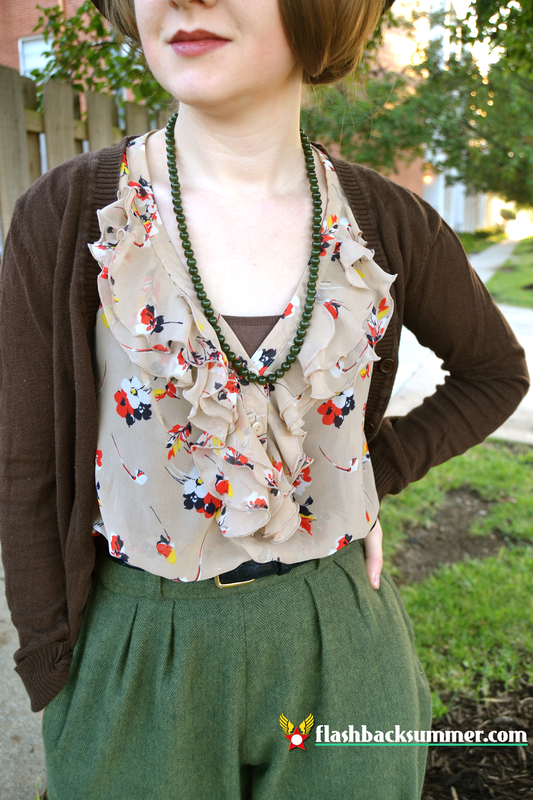 This whole outfit is swoon-worthy. Well done! It IS SO SOFT! A winter skirt would be fantastic for it as well! That looks amazing! 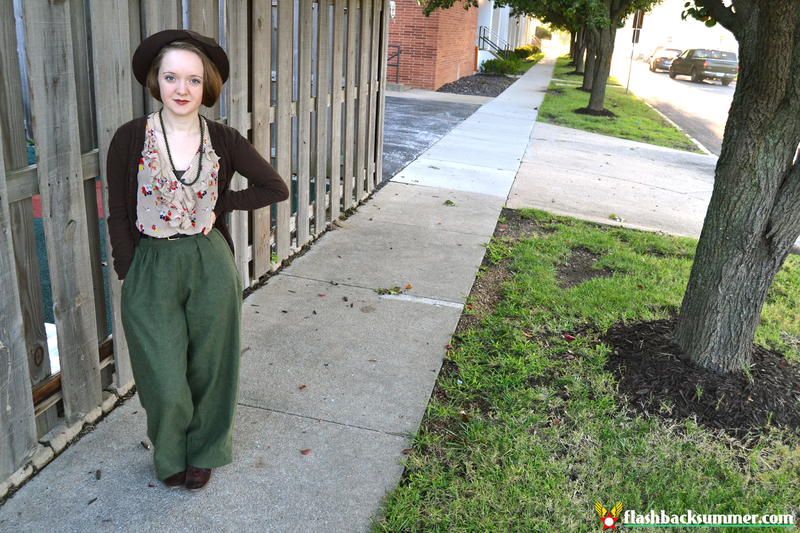 In general, I'm envious of your 1940s pants.... back to the pattern drafting board for me in hopes of a properly-fitting pair of trousers before the year is out! You can do it! These took several tries (before making the original brown pair I posted a couple days back), but you WILL figure it out, and you will be able to make lots of trousers when you do! 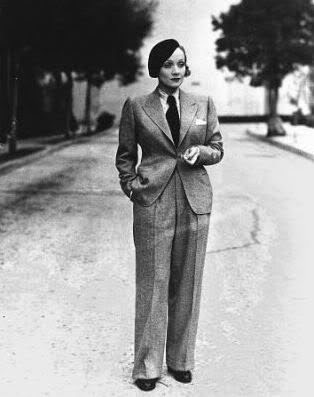 Beautiful photographs and thank you for the history lesson on 30s trousers. 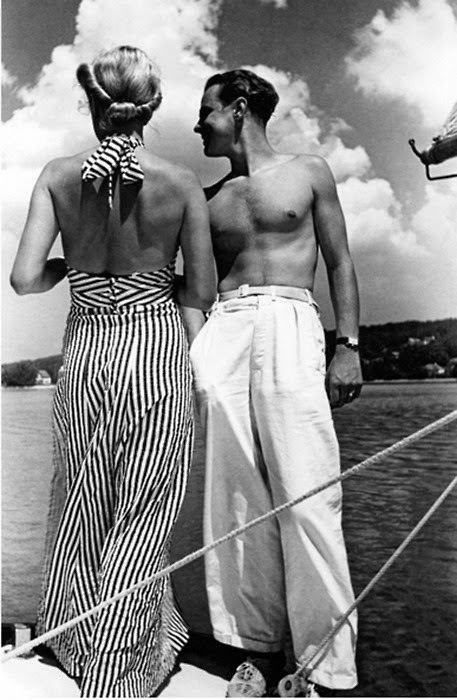 I love beach pajamas from the 30s and the fluidity of movement they offer. 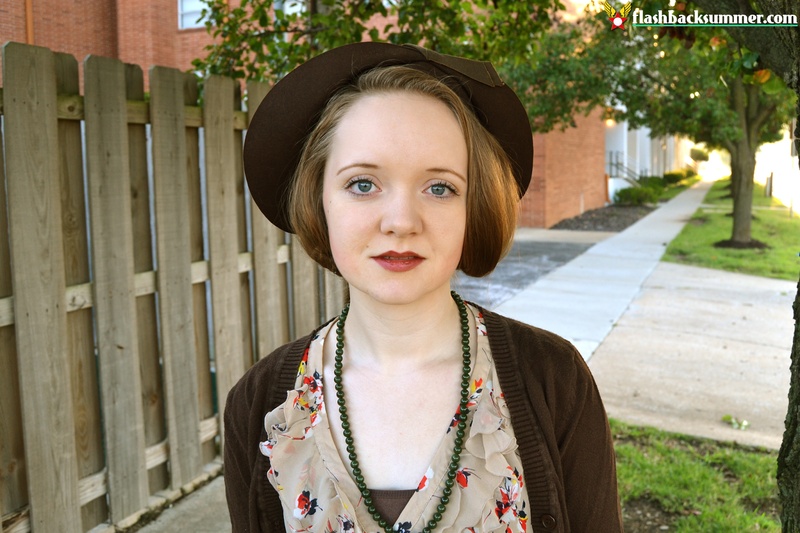 It's so nice to see you tackling the history when you also make your garments. You did a wonderful job creating your pants. Thank you so much, Joanna! 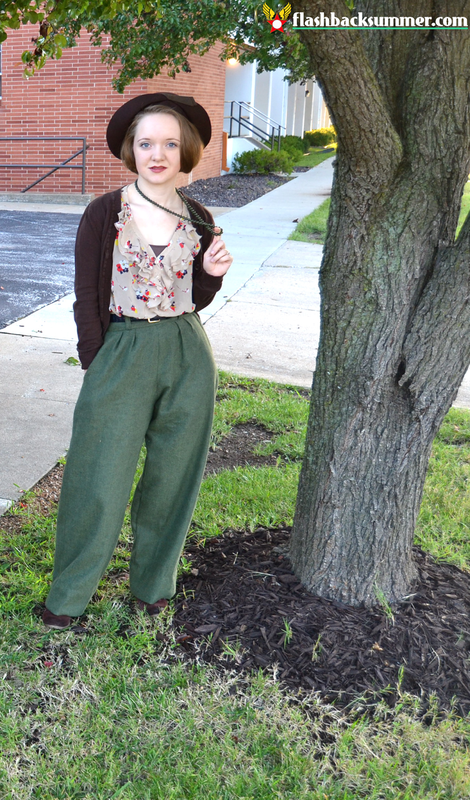 I love 1930s beach pajamas, but I don't own any. I'm hoping to get some patterns and make my own! That is why I learned to sew, too! The stuff I wanted I couldn't find, was out of my budget, or not my size. You won't regret learning to sew, I guarantee it! And you're so right, the 80s really left a bitter taste in society's mouth when it comes to pleats. I'm glad these pleats work! These look great. It was really interesting to read how you adjusted the pattern to get the look that you wanted. Oooo I like both versions of this pant! Great job!